This week’s best articles about early learning from around the web – November 24, 2018 edition. It’s hard to stay in the loop of what’s going on in the world of early learning. But we’ve got you covered! Do you remember playing with your own little toy baby or a Tamagotchi? Ashley Fetters explores why children are drawn to play that involves care taking and empathy in this article for The Atlantic. Is gratitude something we feel naturally or is it something we learn? A research study explored the ways parents can influence how children learn and express gratitude. In this article, Maryam Abdullah shares what the experts learned and how parents can do it at home too. 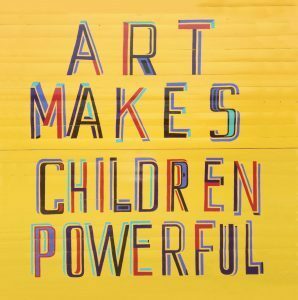 You’ve heard about the many benefits making art can have in the life of a child. But how do you talk about it? And do you need to be an artist or an expert to share these benefits with your little one? Artsy.net has tips and ideas for parents and teachers. Minneapolis mom Keren Gudeman walked into her first improv class looking for a new hobby. What she found instead was the inspiration for a new parenting philosophy — one that emphasizes what moms and dad aspire to be: flexible, positive and present in their kids’ lives. Experts argue that timeouts are emotionally harmful to children. This Washington post article reviews what the experts are saying and how parents can teach their children about good behavior without resorting to punishment.